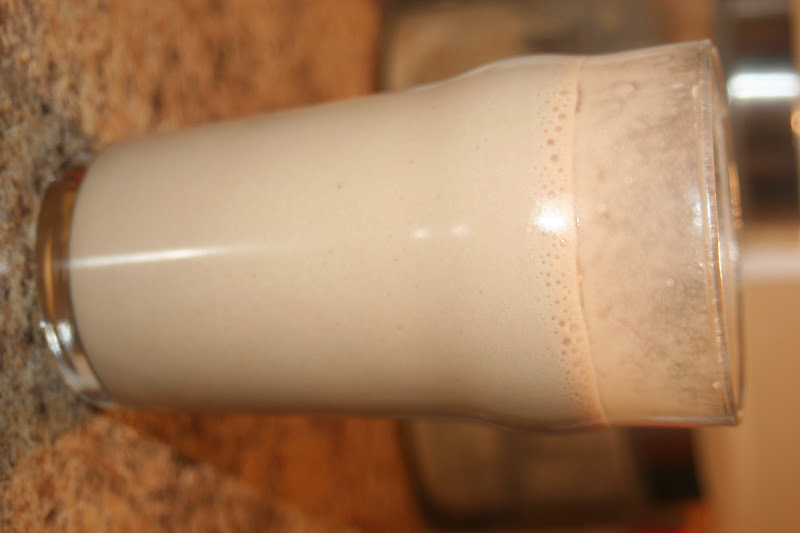 I was really wanting a chocolate milkshake the other day but didn't want the calories from ice cream so I thought I would try to make a healthier treat that would still get me over my sweet tooth. 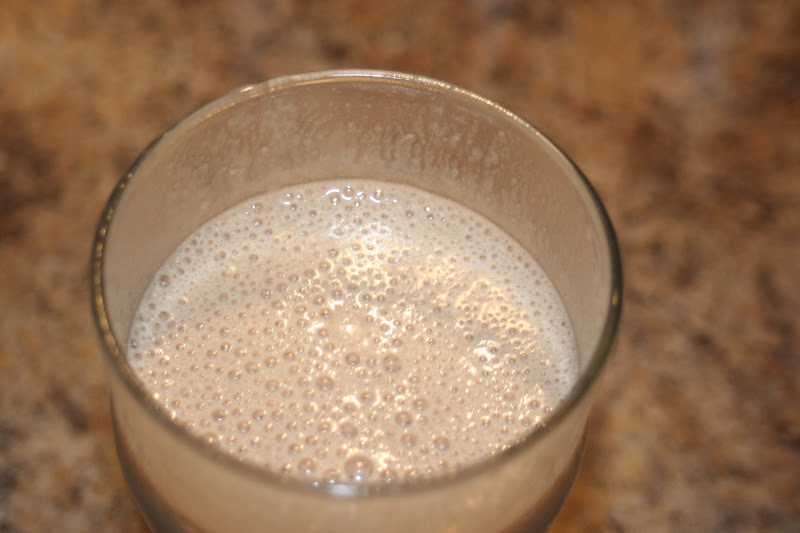 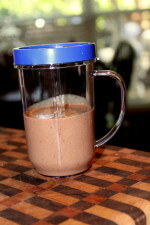 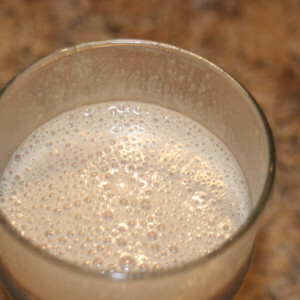 I whipped up this chocolate banana smoothie in a few minutes and it did the trick! 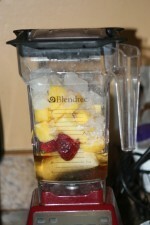 Throw everything into the blender till nice and smooth.